More homeowners are now considering the ‘Wow factor’ too add to their home, more specifically the kitchen. A space that is now the hub of the home, for socializing, entertaining and family gatherings. 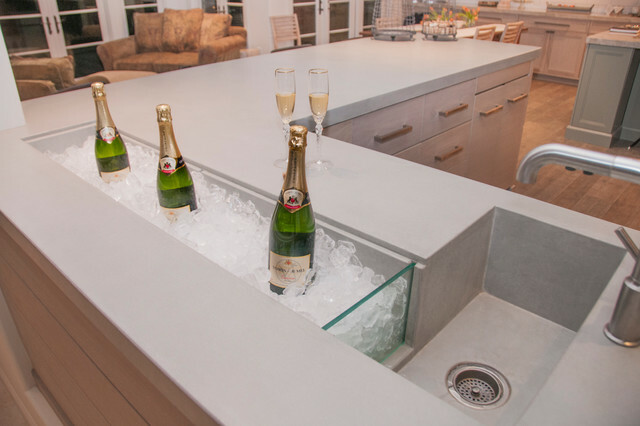 If space allows, a secondary sink has always proven to be useful within most kitchen styles. 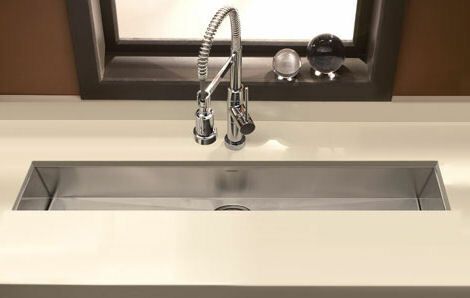 But what If a multi functional streamline trough sink was centre stage? This could be used for anything from chilling bottles of Prosecco, growing herbs, holding ice for parties or even displaying / chilling food. This would be a great focal point when entertaining but when not in use a simple neat extra slab of work top or even a piece of oak to act like a chopping board when the sink isn’t in use. Certainly worth considering if you are an avid entertainer? 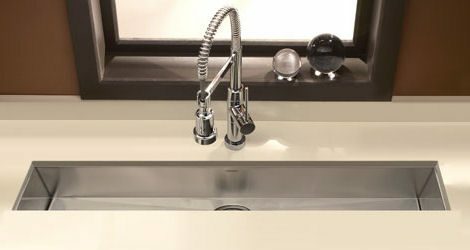 To get your dream kitchen featuring a trough sink Contact us today to arrange your free design consultation.